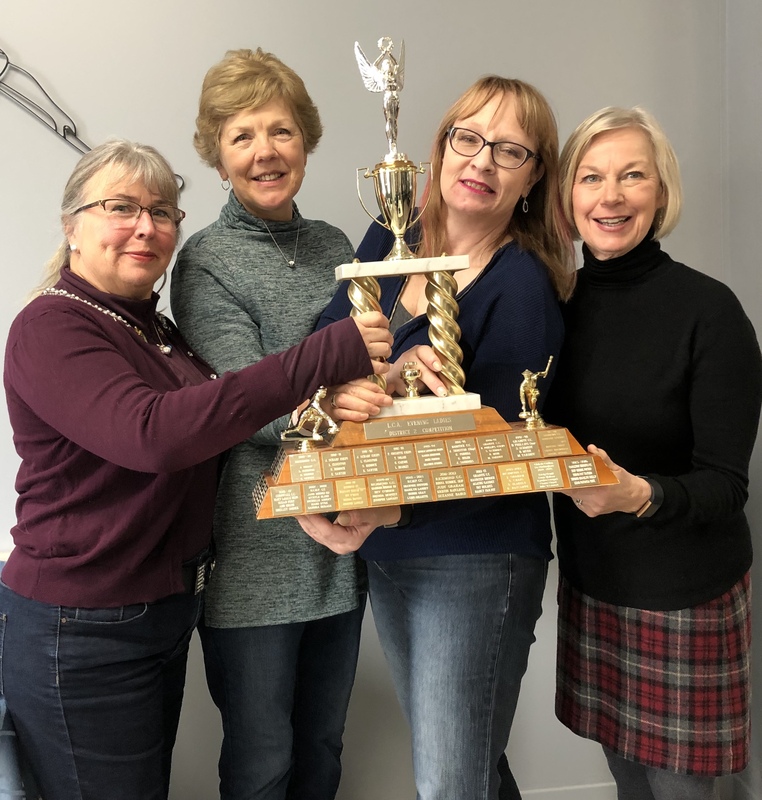 Competition for the District 2 Ladies Curling Association Evening Ladies Trophy was held in Morrisburg on March 2nd and 3rd. The North Grenville Curling Club entry went undefeated against some very strong competition to bring the coveted trophy to our club for the upcoming year. Team Kish is comprised of Dawn Kish at skip, Heather Pitt at Third, Tracey Macdonald at second, Barb Brown at Lead. 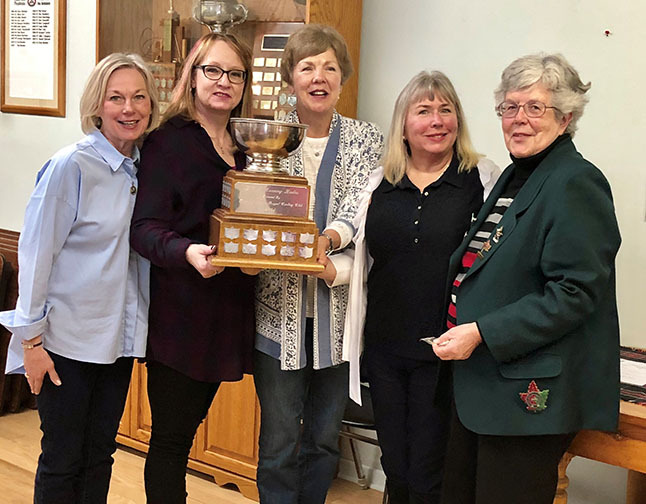 The Ladies Curling Association of the Canadian Branch of the Royal Caledonian Curling Club President Joan Semeniuk presented the North Grenville C.C. team with the district 1 and 2 championship Evening Ladies Trophy Sunday March 24, 2019. The final game score was 7-5 victory in 10 ends of play over worthy opponents from Lacolle PQ. Are you interested in trying something new or getting back into playing this year? We'd love to have you join our club. We're all about Fun, Fitness and Friendship! We offer something for every age group and welcome new curlers every year. Registration occurs in early September each year. If you think you'd like to be part of the club, explore the links above and click on the CURLING link to learn more about the membership options. Optionally, you can scroll down to send us an email with your question. Does your group need space to meet? Do you want to host your own curling event? Click here to find out more about renting our facilities.